At TechEd 2012 this time it was all about Windows 8 and Windows Server 2012. As I am a developer, I attended all the Windows 8 sessions and the AppFest. It was a joy learning about Windows 8 and Metro (which is officially called Mordern UI Sytle) App development at #AppFest. On Monday I flew early morning from Sydney to Gold cost and went straight to Gold Coast Convention Center for AppFest. The AppFest was hands-on coding time in the ultimate 24-hour hackathon for building Windows 8 apps, before TechEd kicked off. 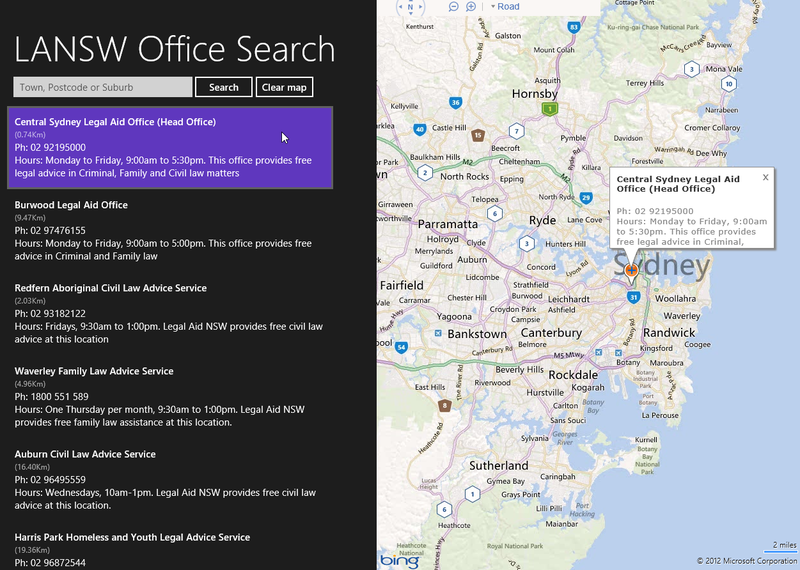 It was great fun and learning experience building an app for Legal Aid NSW office search. I developed this application overnight. Next day, I presented my app on a Samsung tablet with Windows 8 along with many others who did the same. On AppFest we also watched Nick Hodge from Microsoft doing PSY – GANGNAM STYLE which was a hit. On Tuesday the Keynote started at 3.00pm by Jason Silva after the AppFest demo. AuTechEd Keynote by Jason Silva. If you are interested in building Window 8 Metro apps go to Dev Center – Windows Store apps. Microsoft have an entire site dedicated to Windows 8 Metro style app sample code. Microsoft has released second preview of Programming Windows 8 Apps eBook for free. ‹ How to Install Windows 8 on a Mac Book Pro?